Raumfahrt+Astronomie-Blog von CENAP - Blog: Raumfahrt - Fehlstart von Long March-4C-Trägerrakete mit Gaofen-10 Satelliten ? China has unofficially suffered its first failure of the year during the attempt to launch the Gaofen-10 remote sensing satellite from the Taiyuan Satellite Launch Center on Wednesday. Launching from the LC9 Launch Complex at around 18:53 UTC, the Long March-4C (Chang Zheng-4C) failied for reasons not yet known. 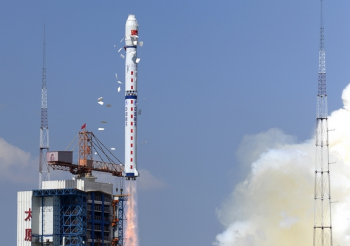 The loss of the Long March 4C is China’s first “orbital launch” failure of 2016. However, Chinese State media have yet to provide any acknowledgment of the loss. China rarely provides live coverage of launches and only confirms missions once the satellite has been successfully inserted into its transfer orbit. For this mission, no news has been provided for over half a day. Online photos showing debris from the rocket are not uncommon and it appears the debris is in a nominal location for expended stages. However, the text associated with the photos claim there is a search for debris associated with the payload. Coupled with the lack of any State media news on the launch, it would appear this mission has failed and the Chinese have so far opted not to report the failure. Gaofen (“High Resolution”) is a series of civilian Earth observation satellites developed and launched for the state-sponsored program China High-definition Earth Observation System (CHEOS). In May 2010, China officially initiated the development of the CHEOS system, which is established as one of the major national science and technology projects. The Earth Observation System and Data Center of China National Space Administration (EOSDC-CNSA) is responsible for organizing the construction of the CHEOS that is a near-real time, all-weather, global surveillance network consisting of satellite, stratosphere airships, and aerial observation platforms. The Earth Observation System and Data Center, China National Space Administration was established in March, 2010. The Center is principally responsible for organizing and implementing as well as managing CHEOS. It is also responsible for EO application services, commercial development, technology consultant and international cooperation. By following an arrangement of integral observation from space, air and ground, the CHEOS is developing a space-based system, near space system, aerial system, ground system and application system. This is to create Earth observation at a high temporal, spatial and spectral resolution, which is making good progress. In order to meet the strategic demands of the national economic development and social progress, the initial plan involved five satellites. Gaofen-1 employs a CAST2000 bus, configured with one 2 meter panchromatic / 8 meter multi-spectral camera and one 16m multispectral medium-resolution and wide-view camera. The satellite realizes an integration of imaging capacity at medium and high spatial resolution and with large swath, with designed lifespan of over 5 years. It was launched on April 26, 2013. Gaofen-2 employs CS-L3000A bus, configured with one 1 meter panchromatic/4m multi-spectral camera, with designed lifespan of over 5 years. The satellite was launched on August 19, 2014. Designed by CAST (China Academy of Space Technology), Gaofen-3 employs the CS-L3000B bus configured with multi-polarized C-band SAR at meter-level resolution. The new satellite has a designed lifespan of 8 years and will mainly be used by the State Oceanic Administration (SOA) of China. GF-3 was launched on August 9, 2016. Gaofen-4 was developed by CAST and is based on the new GEO remote-sensing satellite bus. It has an orbital mass of 4,600 kg, and was designed for a lifespan of 8 years. The satellite was placed into orbit by a Long March-3B launch vehicle from the Xichang Satellite Launch Centre on 29 December 2015. Gaofen-5 employs SAST5000B bus and is configured with six types of payloads, including visible and short-wave infra hyper-spectral camera, spectral imager, greenhouse gas detector, atmospheric environment infrared detector at very high spectral resolution, differential absorption spectrometer for atmospheric trace gas, and multi-angle polarization detector. It is designed for 8 years and is scheduled to launch in 2017. On June 26, 2015, China launched the Gaofen-8 satellite. Developed by the China Aerospace Science and Technology Corporation (CASC), the satellite is part of a civilian program whose aim is to facilitate climate surveying, disaster response, precision agriculture mapping, urban planning and road network design. Its imagery will be mostly used by the Ministry of Land and Resources, the Ministry of Environmental Protection, and the Ministry of Agriculture. The satellite was launched from the Taiyuan Satellite Launch Center using a Long March-4B rocket. On September 14, 2015, another Gaofen satellite, Gaofen-9, was launched from the Jiuquan Satellite Launch Center, using a Long March-2D. Possibly a civilian version of the Yaogan Weixing-2 (Jianbing-6) satellite, Gaofen-9 will provide sub-meter class resolution optical images for city planning, road network design, land ownership determination purposes. Gaofen-10 was launched by a Long March-4C launch vehicle. With its main commonality matched to the Long March 4B, the first stage has a 24.65 meter length with a 3.35 meter diameter, consuming 183,340 kg of N2O4/UDMH (gross mass of first stage is 193.330 kg). The vehicle is equipped with a YF-21B engine capable of a ground thrust of 2,971 kN and a ground specific impulse of 2,550 Ns/kg. The second stage has a 10.40 meter length with a 3.35 meter diameter and 38,326 kg, consuming 35,374 kg of N2O4/UDMH. It includes a YF-22B main engine capable of a vacuum thrust of 742 kN and four YF-23B vernier engines with a vacuum thrust of 47.1 kN (specific impulses of 2,922 Ns/kg and 2,834 Ns/kg, respectively). The third stage has a 4.93 meter length with a 2.9 meter diameter, consuming 12,814 kg of N2O4/UDMH. Having a gross mass of 14,560 kg, it is equipped with a YF-40 engine capable of a vacuum thrust of 100.8 kN and a specific impulse in vacuum of 2,971 Ns/kg. The launch took place from the Taiyuan Satellite Launch Center (TSLC). Situated in the Kelan County in the northwest part of the Shanxi Province, TSLC is also known by the Wuzhai designation. It is used mainly for polar launches (meteorological, Earth resources and scientific satellites). The launch center has two single-pad launch complexes, a technical area for rocket and spacecraft preparations, a communications center, a mission command and control center, and a space tracking center. 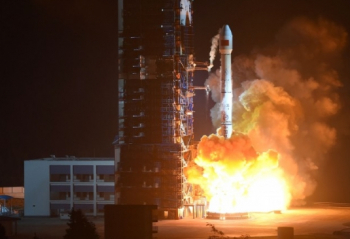 Did China just suffer the first space launch failure of 2016? A Long March 4C rocket launches a Fengyun-3 series satellite from Taiyuan on September 23, 2013. 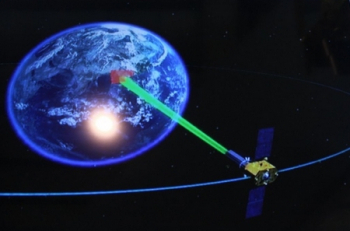 China was early this morning expected to launch its Gaofen-10 Earth observation satellite from Taiyuan, following the issuance of an airspace exclusion zone days in advance. However, it seems the launch did not go to plan. Gaofen-10, nominally part of the 'CHEOS' Earth observation system for civilian purposes, was due to be launched on a Long March 4C rocket between 18:46 and 19:11 UTC on Wednesday (02:46-03:11 Thursday Beijing time). China usually releases information of launches once payloads are successfully heading towards their target orbits around an hour after launch. Much earlier, spectators and insiders often share details and photos of the launch on social media. However, many hours after the launch window passed there was still silence, with the launch timing and location of the Taiyuan Satellite Launch Centre apparently limiting opportunities for outside viewers. The US Department of Defense, which tracks objects in space, had not announced new two-line element sets (TLEs) which would indicate new objects in orbit. The upper stage of the multistage Long March rocket and the satellite would have been picked up soon after launch. This lead followers of China's space activities to wonder what had happened. Was the launch been 'scrubbed', or pushed back? Had there been a launch? And had it failed to reach orbit for some reason? The first clue that a launch had taken place was an announcement on Sina Weibo, a Chinese microblogging platform, from the Public Security Bureau of Shaanxi Province some nine hours after the launch window opened, showing the expected rocket debris along the flight path indicated by the air exclusion zone notification. But with no new objects in orbit, it would appear that the Gaofen-10 satellite - likely an extremely sophisticated sub-metre resolution optical or radar observation satellite, failed to reach orbit and was lost. With the wreckage from the first stage landing where expected, it suggests that the suspected problem occured with a later stage. 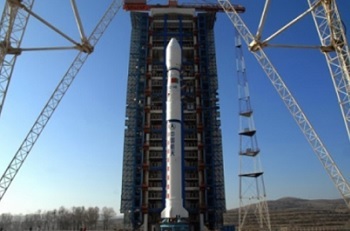 This was the 20th launch of the Long March 4C 3-stage rocket and, if confirmed, its first failure. It would also mark China's first launch failure since China–Brazil Earth Resources Satellite 3 (CBERS-3) mission from the same launch pad in December 2013. China's Long March rockets have proven reliable comparable to international standards, but mission failures are suffered occasionally by space programs. Liftoff occurred in the wee hours of Thursday morning local time at Taiyuan, an arid launch site about 270 miles (435 kilometers) west of Beijing. The China Xinhua News Network Corp., the television arm of the nation’s government-run Xinhua news agency, released photos of the liftoff, but Chinese media never issued an update on the flight. Official news agencies typically announce the success of Chinese rocket launches within hours. Warnings issued to pilots by Chinese authorities indicated the Long March 4C rocket would fly to the south, dropping its first stage stage and payload fairing over central China. Reports from Chinese social media showed parts of the launcher’s first stage and nose cone that fell to the ground in their predicted drop zones. But the flight apparently never reached orbit. The U.S. military publishes orbit data for foreign space launches online, but no entries appeared after Wednesday’s liftoff. The military’s Space Surveillance Network has not detected any objects attributed to Wednesday’s launch from China, according to Air Force Capt. Nicholas Mercurio, a spokesperson for the Joint Functional Component Command for Space at Vandenberg Air Force Base in California. Western experts suggest something went wrong with the Long March 4C’s upper stage, and the Gaofen 10 satellite did not attain enough speed to enter orbit. As of Friday, China’s state-owned media have not reported on the failed launch, and there are scant details on what happened. Wednesday’s mishap was the first failure of a Chinese satellite launcher since December 2013, when a joint Chinese-Brazilian satellite was destroyed. In nearly three years since that failure, China logged 43 consecutive successful orbital launches in a row. China has several crucial launches scheduled before the end of the year, and the impact of this week’s failure on those plans remains unclear. 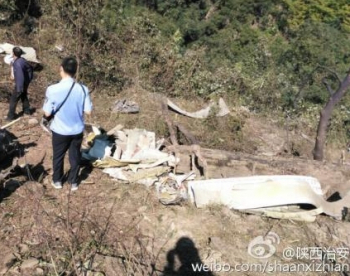 Many of China’s Long March rocket variants use the same types of engines, but the country’s space engineers resumed Long March flights within weeks after crashes in 2011 and 2013. Chinese media disclosed those failures soon after they occurred. Ground crews are readying a Long March 2F rocket for launch at the Jiuquan space center in northwest China’s Gobi desert next month with Tiangong 2, the country’s next orbiting space laboratory. Two Chinese astronauts will blast off on another Long March 2F booster later this year for a 30-day visit to the Tiangong 2 space lab. The heavy-lift Long March 5 rocket, powered by a new generation of engines, is also set for its debut mission before the end of the year.